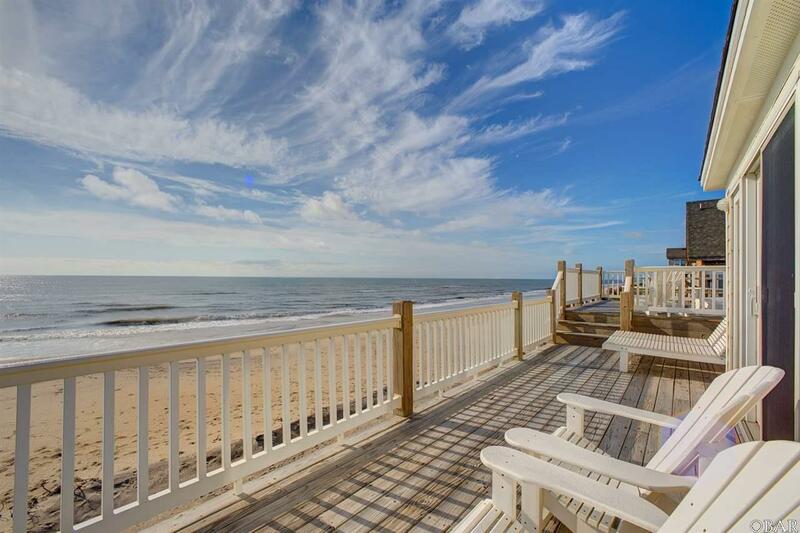 Taj Mahatteras is a one of a kind oceanfront home that must be seen to be appreciated. Upon entering this spectacular cottage through a cut glass entry door, you are greeted by a floating oak staircase and a glass enclosed elevator. The first level features two game rooms, a sauna and a large home theater with tiered new leather seating for 12. One of the game rooms is equipped with an exercise machine, two electronic game machines, and table shuffleboard. The second game room offers a full size pool table, a TV viewing area, a wet bar with a min-fridge and a foosball table. Just outside the entry level is a spacious private pool with optional heat. The second level of Taj contains 5-bedrooms, four of which are master suites including one of the most unique bunk rooms that you will find on the island. 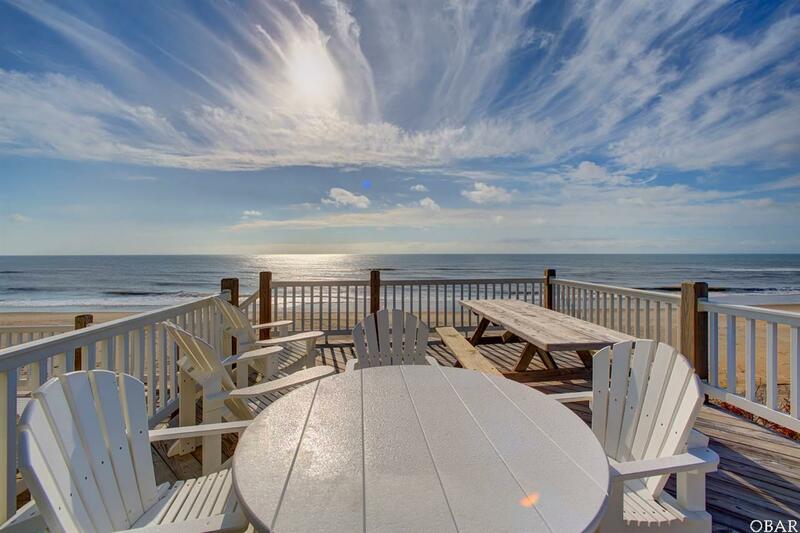 The cottages hot tub is located on a deck overlooking the ocean on this level from which you can enjoy sunrises at dawn and a star-filled sky at night. The spacious top floor with a panoramic view of the beach and the Atlantic Ocean is a place that was designed for appreciating time with family and friends. Highlights include a gourmet kitchen with a commercial grade stove, two refrigerators, a pair of dishwashers, an icemaker, a wine cooler, and a large island with its own sink. Adjacent to the kitchen are a large dining table with seating for 16 and a furnished screened porch. 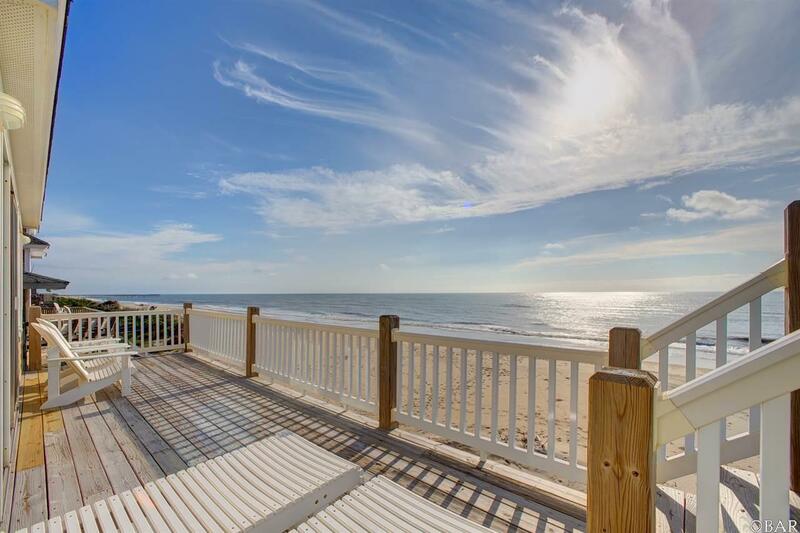 An elevated seating area facing the ocean provides the perfect space for reading, a game of cards, or for working on a puzzle. Two master bedrooms, a half bath, and a stairway leading to a watch tower complete the list of comforts that set Taj Mahatteras apart from other island homes. In addition to the very special interior highlights of the cottage, it also features efficient geothermal heating and cooling systems. 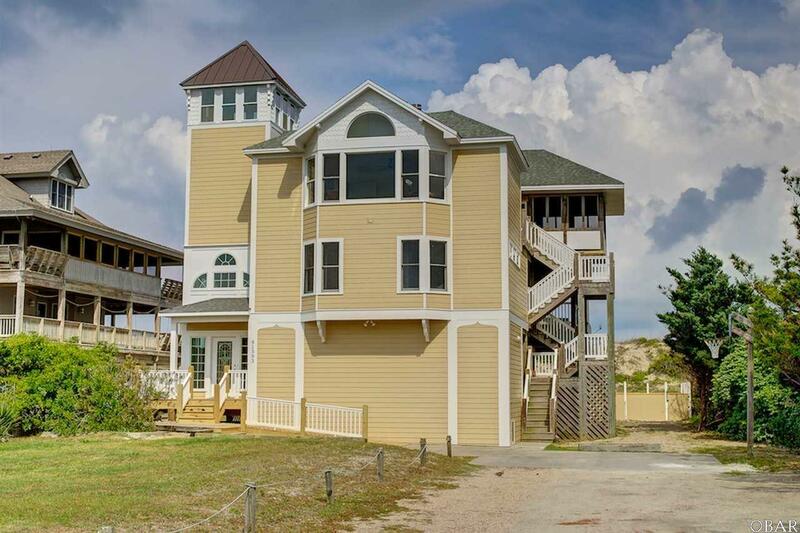 Be sure to put Taj Mahatteras at the top of your list when looking for the best that Hatteras Island has to offer!